Screenshot from Re:Zero. White Fox. 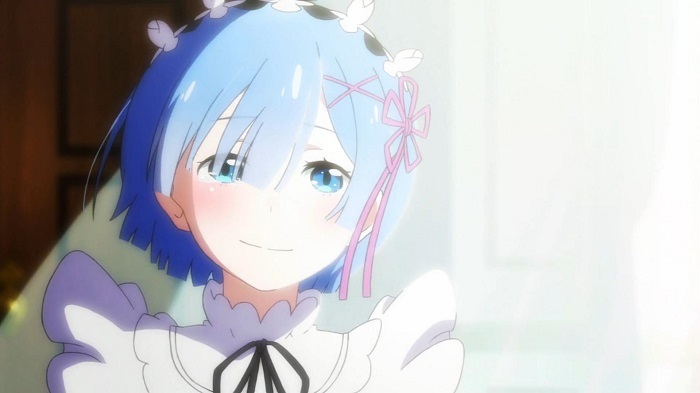 In a Tweet heard around the otaku community, Palmer Luckey – tech enthusiast, founder of the Oculus Rift, and crossplayer – has offered to fund more episodes of Re:Zero. Specifically, he is looking to animate the Re:Zero If Rem chapters of the light novel. As the name implies, the story is a what-if scenario that diverges from the main plot and focuses on Subaru and Rem running away together and its fallout. Considering that Forbes states his net worth is at a full $730 million, he very well could afford to fund an adaptation of the novel. According to Anime News Network, a typical 13-episode anime cost $250 million yen (about $2 million USD) to make, and with the Rem-centric story only a single light novel long, it would be well within his means to fund it. It could even be made as a short OVA series. Gif from Re:Zero. White Fox. So maybe you’ve heard of these things called “light novels” lately? You know, the books that hit anime like Sword Art Online, Durarara, and No Game No Life were based on? There’s an all new way to read them at J-Novel Club, and here’s 5 reasons why you should really check them out! Winter break's here, and what better timing to marathon an entire series than now! So grab a blanket and snuggle up with these 10 great titles!